The South Carolina Department of Corrections has been bringing the hammer down hard on inmates who are caught posting to social networks, but are the punishments a bit over the top? The Electronic Frontier Foundation used South Carolina’s Freedom of Information Act to find that more than 400 disciplinary cases have been brought against inmates since the SCDC made “creating and/or assisting with a social networking site” a level-one offense in 2012, and the penalties are harsh, with one inmate receiving more than 37 years in isolation for 38 posts on Facebook. According to the EFF, level-one offenses usually cover “the most violent violations of prison conduct policies,” and the social-networking punishments are made harsher by the fact that each day on which an infraction occurs is counted as a separate level-one violation. In other words, if a South Carolina inmate caused a riot, took three hostages, murdered them, stole their clothes and then escaped, he could still wind up with fewer level-one offenses than an inmate who updated Facebook every day for two weeks. So extreme is the application of this policy that SCDC is forced to regularly suspend solitary-confinement sentences because of a lack of space in disciplinary segregation. In many cases, the punishments associated with using social media are so unnecessarily long that inmates will never actually serve them since they exceed their underlying prison sentences. In October 2013, Tyheem Henry received 13,680 days (37.5 years) in disciplinary detention and lost 27,360 days (74 years) worth of telephone, visitation and canteen privileges, and 69 days of good time — all for 38 posts on Facebook. In June 2014, Walter Brown received 12,600 days (34.5 years) in disciplinary detention and lost 25,200 days (69 years) in telephone, visitation and canteen privileges, and 875 days (2.4 years) of good time –all for 35 posts on Facebook. In May 2014, Jonathan McClain received 9,000 days (24.6 years) in disciplinary detention and lost 18,000 days (49 years) in telephone, visitation and canteen privileges, and 30 days of good time — all for 25 posts on Facebook. 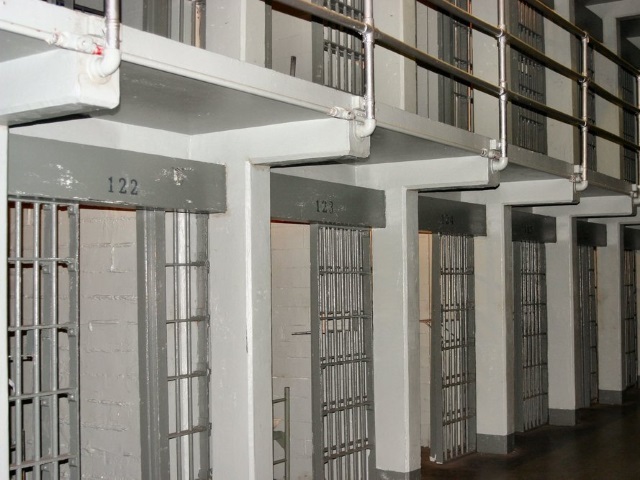 Prison systems have a legitimate interest in keeping contraband devices out of their facilities and preventing inmates from engaging in illegal activities through the Internet. But South Carolina’s policy goes too far, and not only because of the shockingly disproportionate punishments. The policy is also incredibly broad; it can be applied to any reason an inmate may ask someone outside to access the Internet for them, such as having a family member manage their online financial affairs, working with activists to organize an online legal defense campaign, sending letters to online news sites or just staying in touch with family and friends to create the type of community support crucial to reintegrating into society. Facebook has processed hundreds of requests from SCDC officers who want inmates’ profiles taken down. Facebook’s stated policy is to suspend these pages under the auspices of terms of service violations — specifically, purported violations of terms banning users from using aliases or sharing passwords with third parties — effectively allowing SCDC to censor inmates’ online speech. Yet, as described below, Facebook goes beyond its stated policy and agrees to SCDC requests to censor inmate pages even when no ToS violation has been alleged. In addition, Facebook seems to have taken no action against SCDC investigators who regularly violate these same terms in uncovering inmate profiles.